Subaru has been tight-lipped about the next-generation Subaru BRZ sports coupe, but sources close to Toyota have said the next-generation BRZ/86 is being developed now. Toyota sources told The Japan Times, the second-generation BRZ/86 sports coupe will come with a new 2.4-liter Boxer engine and have more power. An unnamed Toyota source told the Japanese newspaper, the second-generation BRZ/86 two-door coupe will arrive sometime in 2021. Nothing has been confirmed by Subaru or Toyota, but the new 2.4-liter boxer engine could be sourced from the all-new Ascent 3-Row family hauler set to arrive with a 2.4L turbo boxer this summer. The new BRZ/86 will be built at Subaru’s Gunma factory in Japan and it’s assumed it will be powered by a Subaru-sourced Boxer engine like the first-generation model first launched in 2012. Subaru sources have said the all-new twin-scroll turbocharged 2.4-liter could be used in other models in the future but declined to comment on which Subaru vehicles it would be used in. The new Ascent 2.4-liter Boxer engine uses a combination of direct fuel injection, high compression (10.6:1), Subaru Dual Active Valve Control System (DAVCS), a twin-scroll turbocharger and an intercooler to produce 260 horsepower and 277 lb-ft of torque. Subaru has confirmed BRZ will see a second-generation model along with its twin, Toyota 86 and it will likely come with the new Subaru Global Platform. This new architecture could bring big changes for the rear-drive sports car. 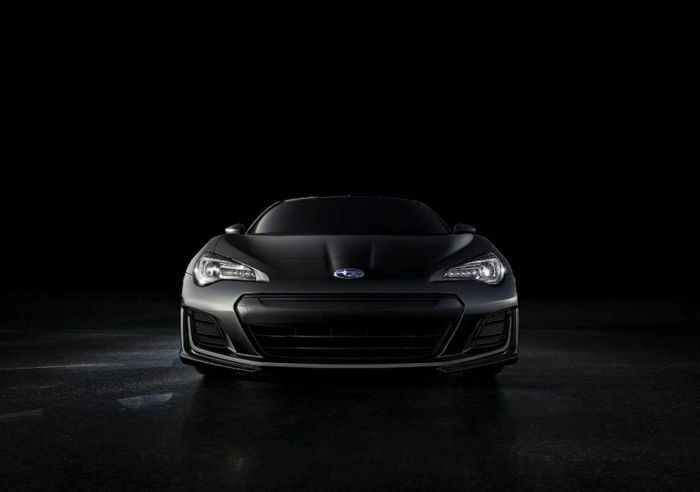 Look for the all-new Subaru BRZ to come with additional safety features, and it will likely come with the brand’s EyeSight driver assist system. The report does say the all-new second-generation 2020 BRZ/86 rear-drive coupe will come with improved performance. Will it get the Ascent twin-scroll turbocharged 2.4-liter Boxer powerplant? Stay tuned. I'm having a very hard time understanding both manufacturer's complete disregard for the requests from the very people that were purchasing the 1st gen BRZ/86. Both Subaru and Toyota have admitted that the number one request from those who owned these, is to give them more power. I'm not sure if it's just flat out arrogance from both, but Toyota engineer Tetsuya Tada flat out said that they will not offer the car with a turbo. Because they want to stick with the philosophy that they had when first designing the car. They wanted to build an all motor, rear wheel drive, affordable sports car. And he wants to stick to that with the BRZ/86. I'm sorry but bottom line for both companies is they want to make more money. In order to do so they need to listen to the very people that are buying their cars, and allowing them to continue being successful in their role with each auto manufacturer. Mark my words! If they fail to listen to their fans/consumers and don't give the car a much needed power boost, the 2nd gen sales numbers will be very dismal in contrast to the 1st gen. But, my opinion doesn't really matter because I am just a consumer, with money to buy cars with that will purchase from one of the many manufacturers listening to what we want, and building them for us! Dude if you want a turbo RWD Toyota, wait for the Supra.